Me in all my reading glory. I made the mistake of walking in some very cool, very high heels so I’m reading barefoot. Over Labor Day weekend, I had the opportunity to visit Lady Jane’s Salon in New York City and read selections from The Courage to Say Yes. 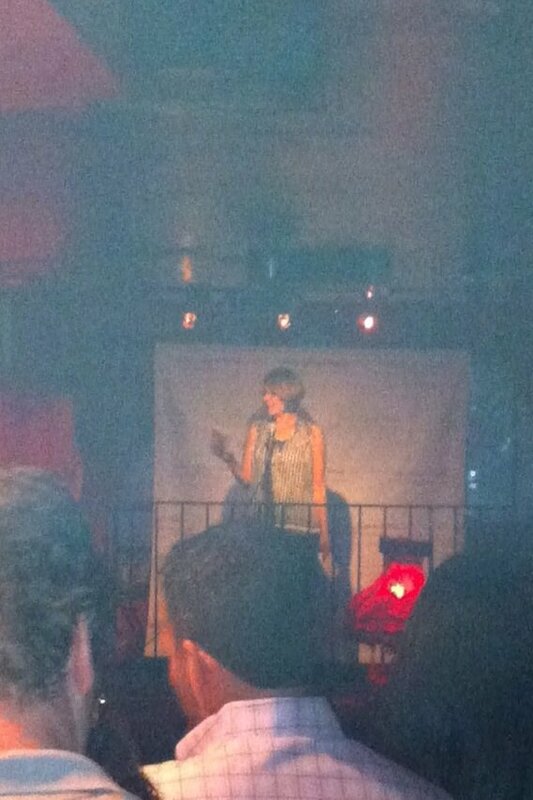 Having never read my work aloud, let along in front of 50+ people, I was nervous as hell. Can I simply say the members of Lady Jane’s are awesome? They were a really fun group. I also found some new authors to read – Tiffany Reisz, Lindsay Riber, and Katharine Ashe. The day after the reading, my husband (who gave himself the online nickname of Captain) and I took a day to explore. 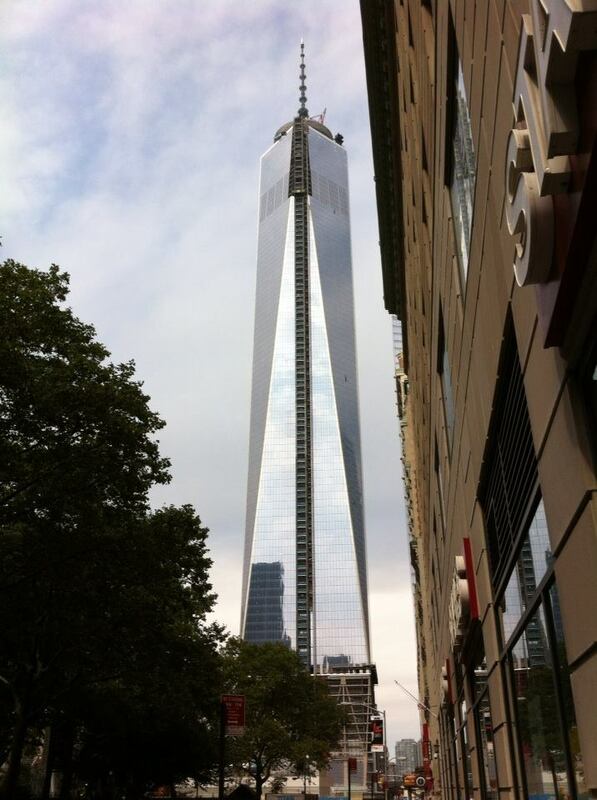 The new Freedom Tower on the grounds of the World Trade Center. Wonderful to see a tower rising there again. We’ve been to New York a couple times over the years, but we always stuck to the Times Square/Broadway area. This time we decided to explore some places we hadn’t seen. We walked the Brooklyn Bridge, explored Battery Park (at least the part not still recovering from Hurricane Sandy), hung out in the lobby of the Chrysler Building (because I’m an Art Deco freak) and took the Staten Island Ferry. Capping the day off was a trip to Central Park where we not only got lost on a rambling path that we’re pretty sure was a hook-up locale but we visited Belvedere Castle. 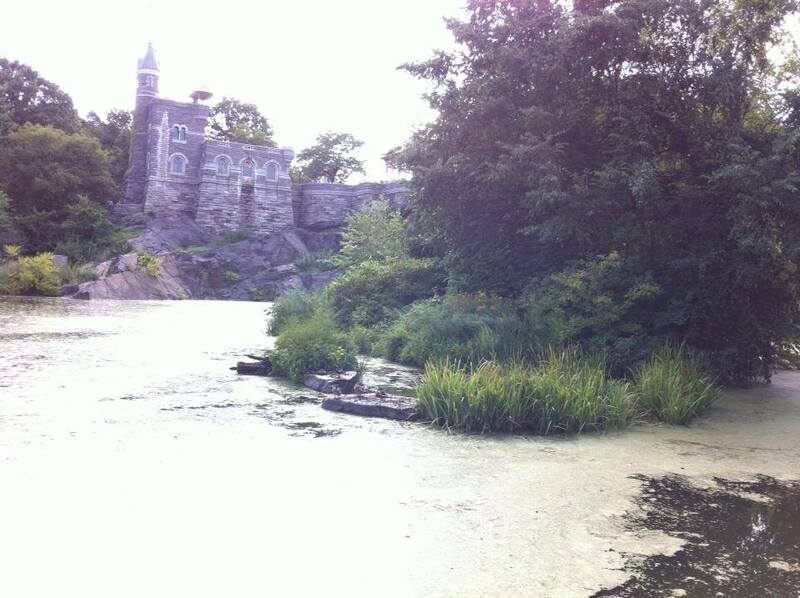 Belvedere Castle in Central Park. This is where my heroine, Abby Gray, would go to escape her domineering boyfriend – and imagine that knights in shining armor existed. Those of you who read Courage to Say Yes (and if you haven’t, why not? ), will recognize this as the place where Abby and Hunter share their first kiss. Naturally I made the captain climb to the ramparts and take pictures! I’m sorry the pictures aren’t better quality. I made the mistake of taking my phone instead of the real camera. Next time I’ll be a better photographer. Promise.